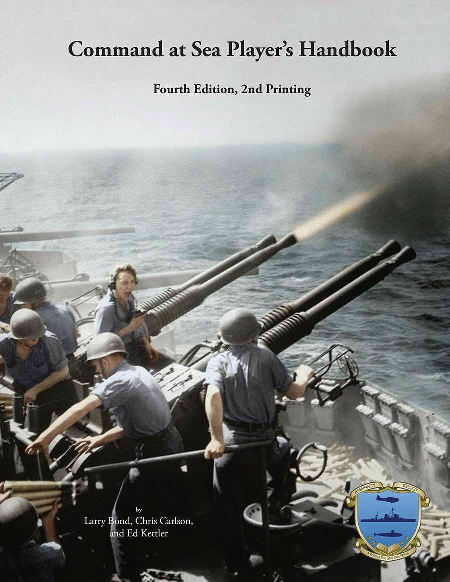 Command at Sea (CaS) is a World War II tactical naval rules system. It can be used to simulate almost every naval operation of World War II with accurate and consistent results. Victory depends as much on the tactics and planning of the players as on the ships and equipment under their command. CaS uses the same format and terms as the other Admirality Trilogy games. The CaS system emphasizes technical and historical accuracy woven into a streamlined, easy to follow rules structure that keeps the action fast-paced and fun. Much of the information used in CaS was drawn from declassified international naval and government documents. Combat resolution is built around a single die roll philosophy that keeps the players focused on the battle and not on the mechanics of the rules. Command at Sea allows the player to experience the kind of decisions that a ship or battle group commander must make when he fights a sea battle during World War II. Victory depends on making the right decision at the right time. CaS is more than just a game, it is an accurate simulation. The models that make up the heart of CaS are based on historical technical data and extensive operational analysis. Tactics that were successful in actual battles will also work in CaS. 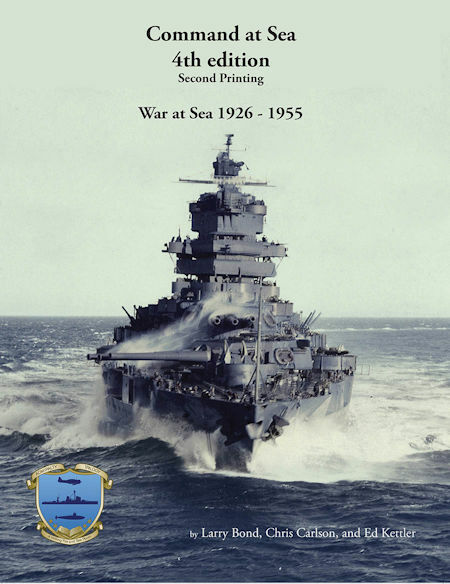 Command at Sea (CaS) is an award-winning World War II tactical naval rules set. It can simulate almost every naval operation of World War II with accurate and consistent results. Victory depends as much on the tactics and planning of the players as on the ships and equipment under their command. This handbook contains all the charts and tables from the Command at Sea, 4th edition rules. It speeds play by allowing players to have their own copy of the parts of the rules most often used. The free Jumpstart document includes a learning scenario and an abbreviated rules set that allows players to try out the rules. 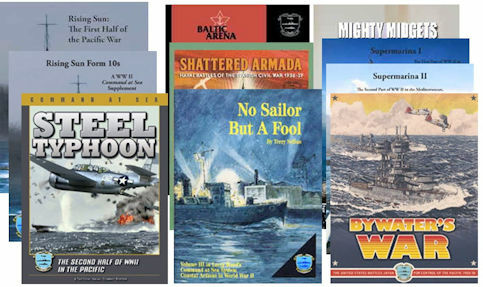 The CaS rules are used by 10 scenario books, each of which covers a specific theatre or period World War 2 the war. 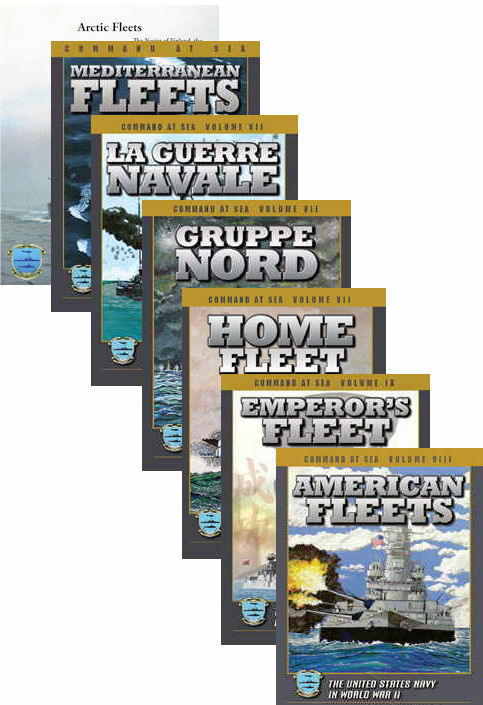 The books contain not only the orders of battle and historical information about each scenario, but also the ship and system data needed to play them. Also included are various "almost" and "what if" scenarios. Not all of the ships in the war are covered in the scenario books. The Fleet Series family of products provides data annexes containing the most complete and accurate information on the navies and air forces of WW II available. 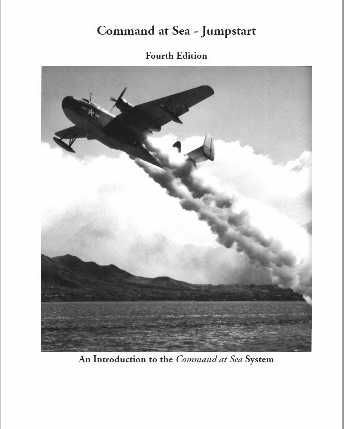 It includes statistics on ships, aircraft, weapons, and sensors that can be used to construct scenarios using the Command at Sea tactical naval rules. Each book covers a separate nation or group of nations. Arctic Fleets (in development): The final volume in the series will cover Russia, Norway, Finland, and the Netherlands.